When you are dealing with a highly controlled spirit like Scotch Whisky or Tequila, there are only so many things you can do to really impact flavor and character. One of the biggest tools in the proverbial tool belt is the barrel. The longer you leave a spirit in a barrel, the more of that barrel character comes through, and the more impact it has on the final flavor. Because barrels are made of wood, they are naturally porous, and when you age something in a barrel, the barrel soaks up a portion of that liquid. Fill that barrel back up with something new and it will leech out that soaked-up liquid, bringing some of its flavor, aroma, color, and character into the mix. Scotch Whisky companies have been experimenting with different cask finishes for years, with one company, Laphroaig going so far as to making the cask the star of a portion of their offerings. 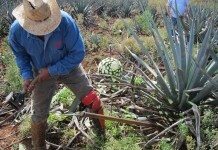 While there has been some experimentation in the Tequila space, it has been fairly limited. 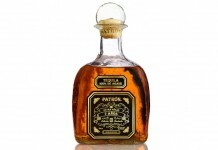 It’s really Tequila Herradura who has been the trailblazer with their Colección de la Casa series, with releases of reposado tequila finished in port casks and cognac barrels. For their 2014 Tequila Herradura Colección de la Casa release, Herradura decided to go in an unconventional direction, finishing their tequila in a combination of Scotch whisky barrels. While this isn’t the first time someone has combined tequila and scotch, it’s the most high profile marriage of the two to date. 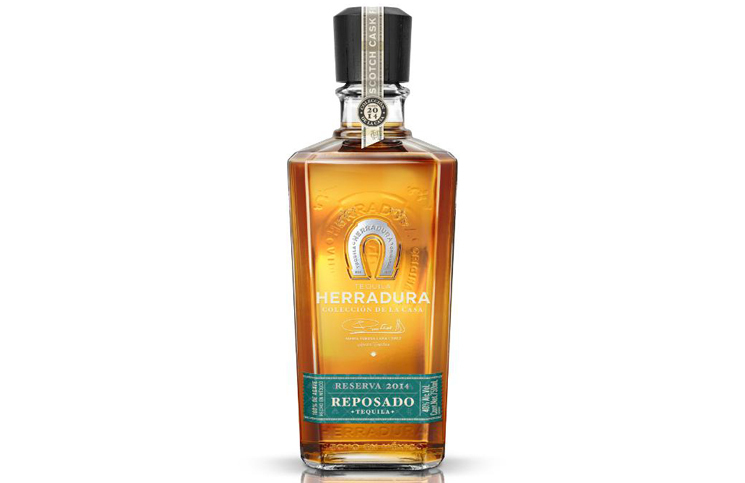 Tequila Herradura Colección de la Casa, Reserva 2014 – Scotch Cask Finish Reposado Tequila (40% ABV / 80 proof, $89.99) is a blend of tequila that’s been conventionally aged for eleven months in American oak with a part aged for an additional three months in Highland Whisky casks, and a part aged an additional three months in Islay Whisky casks. Pale gold in color, this Herradura looks like what you’d expect a reposado should look like. 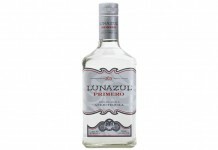 On the nose it leads with fairly conventional reposado tequila aromas including cooked agave and black pepper along with caramel, dill, and oak. Underneath the classic tequila aromas, there’s a slight sense of the Scotch Whisky with a faint hint of malt, dried apricot, and a touch of smoke. The entry for Herradura’s Scotch Cask Finish Reposado leads with spice with black pepper, white pepper, and oak. After that initial spice kick, the sweeter roasted agave notes emerge along with caramel and vanilla. It’s in the midpalate where the influence from the Scotch whisky casks are most present. While we know that there’s Highland whisky in the mix, the malt and apricot which were clearer on the nose get lost in the spicy pepper and pronounced citrus notes of the tequila. What does shine through much stronger on the palate is the ashy smoke from the Islay whisky. This smoke combines with white pepper at the end of the midpalate to drive a dry, spicy, and slightly ashy finish. As an experiment, the Herradura’s Scotch Cask Finish Reposado is a success. Indeed, the sweet and spicy agave-based tequila integrates and balances well with the sweet and smoky qualities of the Scotch whisky, but is that really much of a surprise? After all, mezcal is an agave-based spirit that often incorporates a smoky Islay-like character in the mix. While intellectually interesting as an experiment, what’s in the bottle is difficult to recommend, especially at this price point. $90 puts you in a space to hit some pretty spectacular tequilas, and while interesting, this isn’t spectacular. We probably won’t see a flood of Scotch Whisky cask finished tequilas on the market for the simple reason that used Scotch whisky barrels are much harder and more expensive to come by than bourbon barrels. Because bourbon requires a new barrel for each batch, there’s a high volume of used (or ex-bourbon) barrels out there. Scotch whisky producers tend to keep their barrels as long as possible and value the fact that after many re-fills they begin to become more neutral in their impact on the whisky aging inside. Ultimately, for the fusion of smoke with agave, we’re much more inclined to turn to a good mezcal. Why go through all the trouble of importing ex-whisky casks from Scotland when you’ve got a vibrant and prized spirit with a compatible flavor profile in your back yard? 80 points. Ultimately, for the fusion of smoke with agave, we're much more inclined to turn to a good mezcal. Why go through all the trouble of importing ex-whisky casks from Scotland when you've got a vibrant and prized spirit with a compatible flavor profile in your back yard?